I hate that I’m such a slow reader. I’ve known about this series for about a year now and have only finished the second book. I just love these characters, and want them to be happy. It’s definitely a book that I would recommend to readers. 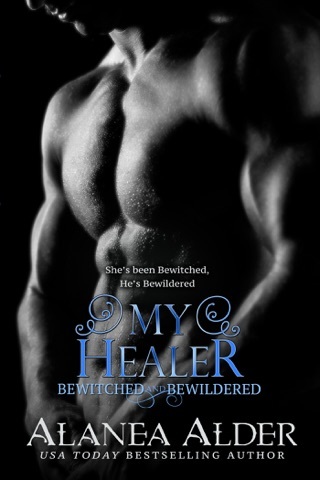 I'm officially hooked on the Bewitched and Bewildered series! I can't wait for the third book to come out. As soon as I read the first page I was instantly sucked into a whirlwind of adventure filled with romance, laughter, mystery, envy, and fear. This series has such an amazing storyline that gives us the romance we envy, the action we anticipate, the humor we enjoy, and the mystery we crave. I have to say this is quickly becoming one of my favorite series. The author writes with so much emotion and humor that I can't put the book down and can't wait to move on to the next edition to see what come next. This world that she has created is fantastic and the characters quickly become your friends. The intrigue pulls you in and as we move through the plot so many ideas spring to mind as to what is happening. I can't wait to get to the next book and see where the story goes! Highly recommend.